Workshop Processes, Practices and Materials is an ideal introduction to workshop processes, practices and materials for entry-level engineers and workshop technicians. With detailed illustrations throughout and simple, clear language, this is a practical introduction to what can be a very complex subject. It has been significantly updated and revised to include new material on adhesives, protective coatings, plastics and current Health and Safety legislation. 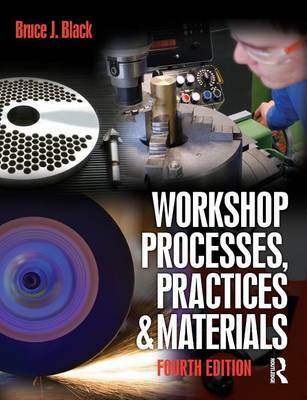 It covers all the standard topics, including safe practices, measuring equipment, hand and machine tools, materials and joining methods, making it an indispensable handbook for use both in class and the workshop. Its broad coverage makes it a useful reference book for many different courses worldwide.